The Zambian diet is mainly composed of cereals, predominantly maize, starchy roots and, to a lesser extent, fruit and vegetables. Cereals provide almost two-thirds of the dietary energy supply. According to the National Food and Nutrition Commission (NFNC), one of the major causes of malnutrition is the mono diet practice. The culture of mono diet is born from mono cropping food production, which is heavily slanted towards maize. Hunger, undernourishment, and malnutrition rates for Zambia are reported in the Global Hunger Index 2016 as being extremely high and among the highest rates in the world, ranking Zambia second from the bottom. 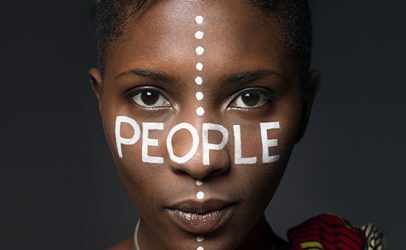 Against this background, Hivos and the International Institute for Environment and Development (IIED) are implementing the Sustainable Diets for All Program (SD4ALL) in Zambia to contribute to food diversity in production and consumption. In this programme, Hivos has identified the role of the media in creating understanding and demand for sustainable diets to be critical. The programme has seen the introduction of SD4All media awards to recognize the role journalists are playing improving Zambia’s food system. The first ever SD4All media awards ceremony was attended by more than 40 development stakeholders in Lusaka on the on 22 December 2017. The awards were presented to four journalists from different media houses for their efforts in writing and reporting on sustainable diets contribute to better health outcomes for Zambians. The awards were presented to Richard Phiri (Hot FM Radio), Favourite Kalando (QFM/TV), Evans Sinjela (5FM Radio) and Stella Mwanza (Times of Zambia). The ceremony was graced by the Minister of Community Development and Social Services Mrs. Emerine Kabanshi. Speaking at the event, Mrs. Kabanshi acknowledged that mono cropping has contributed to the serious nutritional challenges currently being experienced in the country hence the need to invest in nutrition. 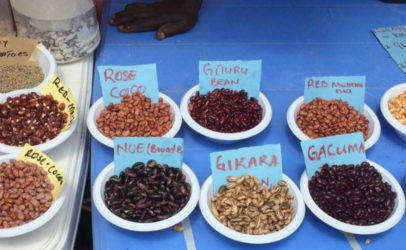 “Government supports and appreciates efforts by Hivos Southern Africa and other stakeholders to promote the Sustainable Diets for All programme which endeavours to draw the attention of the public to the dangers of mono-cropping and mono-diets,” Kabanshi said. The Minister also challenged the media to put more effort in reporting on food and nutrition in Zambia to promote good health and dietary diversity in the country. Hivos Southern Africa Regional Advocacy Manager for Sustainable Diets Mr. William Chilufya emphasized that most of the food that is consumed is not producing desired health outcomes but instead malnutrition, stunting, overweight and obesity. “We are aware in Hivos and IIED that there are many different approaches to getting a robust food system that would contribute to better health outcomes for Zambians. The SD4All media awards held today are just one of the many ways in our programming to improve on sustainable diets health reporting,” Chilufya said. 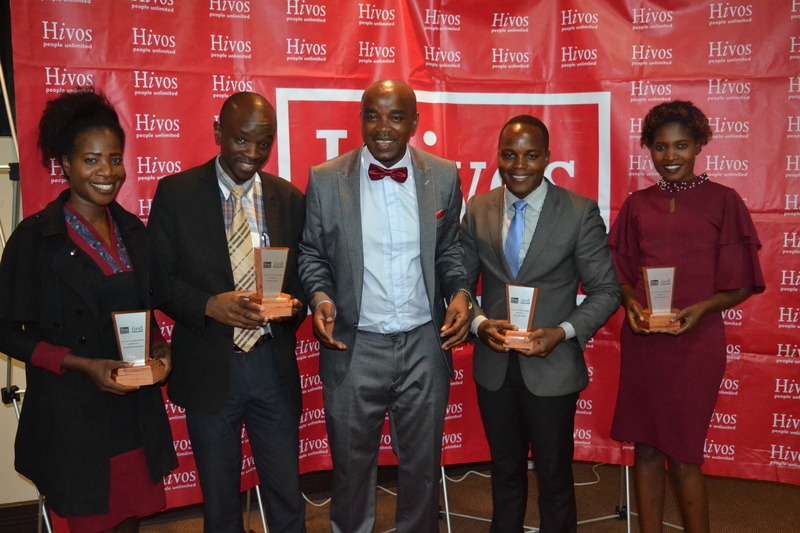 Chilufya added that Hivos and its partners have been inspired by the frequency and consistency in reporting on food system issues including mono cropping, mono diets and crop diversification by the recipients of the awards. Richard Phiri highlighted that most journalists in Zambia have prioritized political stories at the expense of important issues such as sustainable diets which have a direct impact on people. “This award will not only motivate me but the entire Hot FM newsroom to write more on food system issues that contribute to improving the health of our nation.” he said. “I am delighted to receive the first ever media award in my career! This is the first ever award I am receiving since I started practicing journalism. This will no doubt motivate me and my colleagues at QFM/TV to strengthen our reporting on important issues such as sustainable diets”, said Favourite Kalando from QFM/TV. The civil society partners working with Hivos & IIED in lobbying and advocacy for SD4All were represented by Mr. Patrick Nshindano, Executive Director for the Civil Society for Poverty Reduction who expressed partners’ commitment in changing the face of Zambia by ending mono cropping and mono diets. 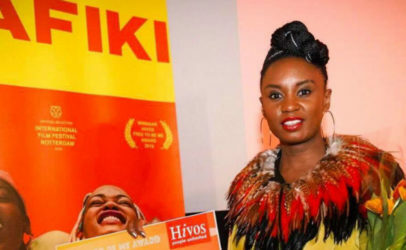 To maintain the momentum and promote reporting on issues around sustainable diets, Hivos and its partners will conduct media monitoring and continue recognizing the efforts of journalists and media practitioners in raising awareness of SD4All. Hivos will strive to formalize partnerships with the public and private media houses in under its SD4All programme.